Sedate Worship or Holy Roar? “I grew up in a rural town in South Australia, where I attended a small country church. The Christian tradition of my youth was not a particularly animated tribe. We were reserved, more conservative in the way we expressed ourselves in praise and worship. On any given Sunday as we were led in traditional hymns (with a smattering of worship choruses), we’d sing along with sincere but subdued hearts. This is not to say, of course, that celebration wasn’t happening in the pews, but the assumption was that any sort of celebration was personal, internal. As a general rule, implied though it was, expressions of outward, enthusiastic praise were not practiced” (Darren Whitehead, co-author, Holy Roar). So begins Holy Roar (co-authored by Chris Tomlin). My younger daughter gifted me with the book. It intrigued me. I’ve never thought much about Israel’s worship. But this book made me wonder what I’d find if I could sneak back. More important is what it suggests for our worship today. Holy Roar is built around seven Hebrew words. All are translated “praise” in our English Bibles. But all have radically different shades of meaning. “May all the peoples praise (yadah), O God; may all the people praise (yadah) you” (Psalm 67:3). “May all the people worship you with extended hands, O God; may all the people hold out their hands in praise to you” (Psalm 67:3). “Let them praise (halal) his name with dancing and make music to him with timbrel and harp” (Psalm 149:3). “Let them be clamorously foolish over his name with dancing and make music to him with timbrel and harp” (Psalm 149:3). “I will sing a new song to you, O God; on a harp of ten strings I will sing praises (zamar) to you” (Psalm 149:9). “I will sing a new song to you, O God; on a harp of ten strings I will celebrate with music to you” (Psalm 149:9). “In God I have put my trust, I will not be afraid. What can man do to me? Vows made to you are binding upon me, O God. I will render praises (towdah) to you” (Psalm 56:11,12). “In God I have put my trust, I will not be afraid. What can man do to me? Vows made to you are binding upon me, O God. I will give thanks to you for what I have not yet received” (Psalm 56:11,12). “All kings will bow down to him and all nations will serve him (Psalm 72:11) . . . Long may he live! May gold from Sheba be given him. May people ever pray for him and praise (barak) him all day long” (Psalm 72:15). “All kings will bow down to him and all nations will serve him (Psalm 72:11) . . . Long may he live! May gold from Sheba be given him. May people ever pray for him and kneel in blessing to him all day long” (Psalm 72:15). Tehillah means “a song to praise, a new song, a spontaneous song. “But You are holy, Enthroned in the praises (tehillah) of Israel” (Psalm 22:3). But You are holy, Enthroned in the spontaneous praise songs of Israel” (Psalm 22:3). “One generation will commend (shabak) your works to another; they will tell of your mighty acts” (Psalm 145:4). “One generation will commend your works with shouts to another; they will tell of your mighty acts” (Psalm 145:4). Free to lift our hands in praise. Lay aside our inhibitions. Powerful (or simple) music to draw us into God’s presence. A sacrifice of praise to God in expectation of what he will yet do. On our knees in humble adoration. Spontaneously singing a new song to the Lord. Freedom to shout in triumphant praise. That’s the worship to which these words call us. Please note that these are not the ravings of an extreme charismatic. They are, according to the Hebrew words, how Israel worshiped. And I’ve written them here as an encouragement to deepen our practice of praise. But maybe you’re satisfied with worship at your church. Just think: our God is infinite; therefore, our worship should always be deepening. Holy Roar is available from Amazon–https://www.amazon.com/Holy-Roar-Words-Change-Worship/dp/0692941495/ref=sr_1_1?ie=UTF8&qid=1533328617&sr=8-1&keywords=holy+roar+book+by+chris+tomlin. Praise is available from us. John Piper concludes his book: “the Bible, consisting of the sixty-six books of the Old and New Testaments, is the infallible Word of God, verbally inspired by God, and without error in the original manuscripts and . . . this can be known with a well-grounded confidence because the peculiar glory of God shines in and through these Scriptures. “This also implies that the Scriptures are the supreme and final authority in testing all claims about what is true and right and beautiful. In matters not explicit addressed by the Bible, it implies that what is true and right and beautiful is to be assessed by criteria consistent with the teachings of Scripture. All of this implies that the Bible has authority over every area of our lives and that we should, therefore, try to bring all our thinking and feeling and acting into line with what the Bible teaches” (Piper, p.281). That’s a staggering claim—and whole-world-encompassing, binding on all people everywhere. If you belong to another religion or have no religion or dabble in various “spiritualities”, this claim presents a huge obstacle. Such a claim, you say, leads to intolerance, hatred, and finally violence. Yet even a brief review of history shows that the lack of religious absolutes has led to totalitarian abuses. Think Hitler, Stalin, Mao and Pol Pot. When man rejects God, he makes himself supreme authority. When Jesus Christ returns, he will execute a final judgment and do away with all unbelief and sin in a new world of righteousness and peace. Meanwhile, we call all people to believe his word—but we never use coercion to bring about faith. This may be the first time you have read an argument for Scripture’s truth based on God’s glory. But, even if you’re convinced, no one just decides to see the glory. God the Holy Spirit must open the eyes of our heart. It’s a miracle for which we can pray. This has been one of Piper’s key concerns in this book—that the simplest person can have a well-grounded confidence that the Bible is true and the standard by which all other truth-claims are judged. Scripture reveals a peculiar glory, at the center of which is “the utterly unique glory of Jesus Christ” (Piper, p. 284). In the Bible God glorifies himself in working for those who wait for him. He glorifies himself through fulfilled prophecy, through Jesus’ miracles and through “Scripture-shaped lives of radical love” (Piper, p. 285). But this “peculiar brightness shines through the whole Bible [and] comes to its most beautiful radiance in the person and work of Jesus Christ, dying and rising for sinners” (Piper, p. 285). Everyone knows God’s glory (Romans 1:21)—written in nature (Romans 1:19,20), in our hearts (Romans 1:15), and in the gospel (2 Corinthians 4:4). “When God opens our eyes and grants us the knowledge of the truth through the Scriptures, we know we have seen ultimate reality . . .
“When that happens, we enter a life of extraordinary purpose—to “proclaim the excellencies of him who called you out of darkness into his marvelous light” (1 Peter 2:9) (Piper, p. 285). In a culture where the Bible is pushed aside, misquoted, treated as just another religious book among dozens of “truth-claims”, we Christians must have a basis for a well-grounded confidence that the Bible is true and holds final authority in our lives. I pray Piper’s book does that for us all. My blogs have been just summaries of that book. It’s not only available to buy but to read free online . . .
“How do human reasoning and historical scholarship . . . relate to the spiritual sight of the glory of God in the Scriptures?” That’s John Piper’s question for chapter 17. This question matters, explains Piper, because someone might infer that our use of reason is not important since God reveals “the truth of his word directly to our hearts by the sight of his glory” (Piper, p.267). That inference would be wrong. God mediates his glory through biblical texts “which exist for us today and are understood by us today only with the help of observation, reasoning, and historical data” (Piper, p. 267). Piper asks, “How did the average person even come to have a Bible? And how did a person learn to read (French, or Greek, or English) in the first place, or to construe language orally? And what mental processes does a person go through in order to find the true meaning of a text instead of a false one?” (Piper, p. 268). Jonathan Edwards (17th century pastor/theologian) wrote, “There must be a knowledge what the things of the gospel are, before we can be sensible of the truth and reality and excellency of the things of the gospel” (Piper, p. 269). Therefore, Scripture must be preserved through generations, so we can know it. That preservation includes reading and transmitting the text, producing faithful translations from the original Hebrew and Greek, and the mental work of careful reading of those translations. We can’t see God’s glory in the word if we don’t hear or read the word. “Everyone who calls on the name of the Lord will be saved. How then will they call on him in whom they have not believed? And how are they to believe in him of whom they have never heard? And how are they to hear without someone preaching? And how are they to preach unless they are sent? As it is written, ‘How beautiful are the feet of those who preach the good news!’ But they have not all obeyed the gospel. For Isaiah says, ‘Lord, who has believed what he has heard from us?’ So faith comes from hearing, and hearing through the word of Christ” (Romans 10:13-17). To see the self-authenticating light of God’s glory in Scripture we must use human observation and human reasoning. This is because God’s glory in his word is embodied in the meaning of the words. Thus parents work to teach their children to read. And we make it a priority to read the Bible zealously and accurately. HOW DO WE DEPEND ON SCHOLARSHIP AND OTHER HUMAN AGENCY? This doesn’t mean that we must depend on historians and apologists and scholars to prove the Scriptures true. But we do depend on them to give us access to the Bible. And we depend on them (and ourselves) to correctly interpret the Bible’s meaning. Without human agency, Piper says, we cannot access the peculiar glory of God in his word. What does this imply for the work of giving rational and historical arguments for the Christian faith? “We prayerfully observe the facts before us, and we think about them in order to construe the meaning of what the inspired author (and God) intended us to see. That is what we must do, whether we are seeking rational persuasion or spiritual illumination. This is because both kinds of knowledge are rooted in real human history and real human sentences” (Piper, p. 273). The apostle Paul is an example of a person transformed by God’s glory in the Scriptures. “And he believes that the impact of the word of God on his life is a good argument for the truth of the gospel” (Piper, p. 273). In Galatians, Paul defends his apostleship (Galatians 1:10-24). Piper summarizes his argument like this . . . Premise 1: You know how totally devoted I was to traditional Judaism and how violently I opposed Christianity. Premise 2: The very ones I once tried to destroy are now glorifying God because of what they see in me. Premise 3: I did not consult with other apostles for the content or the authority of my new calling. “Given how deep was his devotion to Judaism, and how radical was his opposition to Christianity, and how he has now done a 180-degreee turn and his risking his life to spread the very faith he once opposed, we are justified in inferring the truth of his claim to have encountered the risen Christ and received his message from him” (Piper, p. 275). Of course, someone may argue that Paul had a delusional mental illness, was the victim of a hoax or made an honest mistake. But, says Piper, Paul doesn’t write the way a deluded man would. Read and find coherent reasoning and warm, personal relationships. Second, says Piper, Paul endure decades-long suffering to spread his gospel—hardly the way of a con man. And third, it’s hardly believable that Paul would repeat the same mistake about his revelation of Jesus Christ year after year. “And thus the apologist would point out that the evidence is strong that when Paul explains the divine origin of his apostleship, he is speaking as a reasonable and honest man who knows what he is saying and why” (Piper, p. 276). This path doesn’t lead us to saving faith. But it does give us an argument to overcome objections. It does strengthen our trust in God’s word. And through “this valid narrative” of God’s work in Paul’s transformation the peculiar glory of God can break forth. It did for many. “And they glorified God because of me” (Galatians 1:24). But not all. The relationship between reason and faith is not hostile. The sight of God’s glory comes through the word and so depends on human agency. “So while we are not dependent on human observation and reasoning to provide certainty of the word’s truth, we are dependent on human effort to bring the book to our hands and its meaning to our minds” (Piper, p. 278). Because we claim that God’s glory in the Scriptures authenticates the Scripture, we could easily be branded religious fanatics. That claim might even worry us—are we religious fanatics? Can we have a well-grounded confidence in the Bible as God’s word? Human reasoning and historical scholarship support a “yes” answer. They don’t prove the Bible is God’s word. But neither do that disprove it. Under the spotlight of rigorous human reasoning and historical scholarship the Bible holds its own as a reliable historical document. Believing it to be God’s word doesn’t mean emptying our mind or denying the intellect. Instead, we gratefully accept human reasoning and historical scholarship and welcome the Bible they place in our hands. And we pray to see the self-authenticating glory of God in its pages. We’re nearing the end of our panoramic view of John Piper’s A Peculiar Glory. He’s answering why we can trust the Bible to be true and the measurement of all other truth claims. We’ve seen in the book’s final section that God authenticates Scripture by revealing his glory in its fulfilled prophecies and Son-of-God miracles. In this chapter, we see that God authenticates Scripture by revealing his glory in the people the Word creates. What is peculiar about God’s glory? He reveals his “majesty through meekness.” He shows “the grandeur of his grace through his voluntary sufferings in the rescue of sinners” (Piper, p. 254). Piper now claims “that the Scriptures manifest themselves to be the word of God by their display of this peculiar glory of God in the transformation of selfish people into God-centered, Christ-exalting servants who live for the temporal and eternal good of others” (Piper, p. 254). What we behold in Scripture creates a glory in the way we behave. “We all, with unveiled face, beholding the glory of the Lord, are being transformed into the same image from one degree of glory to another” (2 Corinthians 3:18). Scripture is, therefore, authenticated by the glory it creates in believers. For all not present to see the glory of Christ in the first century, words mediate that glory to us. When we read what the apostles wrote, we see “the light of the knowledge of the glory of God in the face of Christ” (2 Corinthians 4:6). Piper warns that we mustn’t limit that glory to the gospel. For all God’s inspired word contains his transforming glory. ARE WE MADE NEW BY THE WORD OR THE SPIRIT? God’s glory, which we see in the word, changes us to see the word’s truth and beauty. “The word itself is the instrument by which the Holy Spirit makes it possible for us to see . . . ” (Piper, p. 257. “You have been born again . . . through the living and abiding word of God” (1 Peter 1:23). God causes us to be born again, and the instrument he uses is his word. Answer: the Holy Spirit. “It is as though the sun of truth has broken through the clouds after a long storm of darkness” (Piper, p. 258). The human heart has to be changed before it can see God’s glory in the word. But “before” has a causal meaning rather than a temporal one. The opening of the heart’s “eye” and the seeing of God’s glory in the word happen simultaneously. God’s peculiar glory in Scriptures is reflected in people who are “transformed from self-centered, self-exalting people to God-centered, Christ-exalting servants who live for the good of others” (Piper, p. 260). Therefore, these people themselves are evidence for God’s reality in the word. Jesus said, “I am the light of the world” (John 8:12a). Now the disciples have seen his glory and been changed. So, Jesus says to them, “You are the light of the world . . . In the same way, let your light shine before others, so that they may see your good works and give glory to your Father who is in heaven” (Matthew 5:14-16). There is something peculiar about the glory of those good works, says Piper. A moment earlier, Jesus had said about his disciples . . .
“Blessed are those who are persecuted for righteousness’ sake, for theirs is the kingdom of heaven. Blessed are you when others revile you and persecute you and utter all kinds of evil against you falsely on my account. Rejoice and be glad, for your reward is great in heaven, for so they persecuted the prophets who were before you” (Matthew 5:10-12). Not everyone who sees the disciples’ good works glorifies God. Some persecute them. “This kind of response to suffering is so utterly extraordinary that Jesus immediately says, ‘You are the salt of the earth . . . You are the light of the world’ (Matthew 5:13,14). The stunning taste and brightness of the disciples’ joy in suffering for righteousness’ sake is the salt and light of the world. This is the peculiar glory Jesus brought into the world” (Piper, p. 261). “I have given them your word, and the world has hated them because they are not of the world, just as I am not of the world” (John 17:14, Jesus’ prayer to the Father). God’s word and God’s glory to his disciples resulted in hatred from some and belief from others. This joy in spite of mistreatment flows from the hope of the glory of God. “For the joy that was set before him [Christ] endured the cross, despising the shame, and is seated at the right hand of the throne of God” (Hebrews 12:2). “Blessed are you when others . . . persecute you . . . Rejoice and be glad, for your reward is great in heaven” (Matthew 5:11,12). This, says Piper, “is the key to our joy in sorrow and therefore the key to enduring in love in spite of suffering . . . The word [of God] exhibits and creates the glory of Christ in the lives of Christ’s followers, and this too is how the Scriptures manifest themselves to be the word of God” (Piper, p. 263). The word “exhibits and creates human lives that embody” the peculiar glory which is “majesty in meekness, strength through weakness, and deeds of love done with Christ-dependent joy in spite of mistreatment” (Piper, p. 264). The Larger Catechism answers the question of how the Scriptures show themselves to be God’s word by “ . . . by their light and power to convince and convert sinners, to comfort and build up believers unto salvation” (Piper, p. 264). Wow! That makes me nervous. I know plenty of professing Christians who don’t measure up!” I know. I pastored 44 years. Besides, I know me. So either a lot of us aren’t truly born again or Piper’s argument that changed Christians authenticate God’s glory in his word is full of holes. Wait. We’ve got a third option. All of us Christians really do have a heart-change. We want to be God- not self-centered and Christ- not self-exalting. The Holy Spirit (the new Christ-nature implanted) makes us want to live like servants for the good of others. But we’re in-process. We’ve been changed, and we’re being changed. It’s not a momentary make-over. It’s an over-time make-over. Even so, signs of new life show up. When we gather for worship and with all our heart sing God’s praises in Christ, we’re singing out that we are new inside. When we pray for a hurting sinner, when we sit with a lonely Christian, when we serve in a soup kitchen for hungry strangers, we’re living out the new we are inside. Not by world-shaking leaps, but by baby steps we show that what we behold in Scripture creates a glory in how we behave. And so we show that the Scriptures reveal themselves to be the very word of God. Can we trust the Bible? Is it true? John Piper answers a resounding YES. We’ve been following his reasons. In this final section of his book, Piper argues that God’s glory in the Scriptures authenticates them. In chapter 15, Piper contends Jesus’ miracles (as do his fulfillment of prophecy in chapter 14) show his glory–and thus show the Scriptures true. The apostle John wrote, “We have seen his glory, glory as of the only Son from the Father, full of grace and truth” (John 1:14). Included in that glory were miraculous signs. When Jesus changed water into wine, John commented, “This, the first of his signs, Jesus did at Cana in Galilee, and manifested his glory” (John 2:11). Jesus spoke of his works as reason to believe in him. “Even though you do not believe me, believe the works, that you may know and understand that the Father is in me and I am in the Father” (John 14:11). But Jesus warned that it’s possible to believe in his miracles without believing who he is. John reports: “ . . . as he was saying these things, many believed in him. So Jesus said to the Jews WHO HAD BELIEVED IN HIM, ‘If you abide in my word, you are truly my disciples’ . . . ” (John 8:30,31). Then, talking to the same Jews, Jesus said, “You seek to kill me because my word finds no place in you” (John 8:37). They “believed”, but refused his word! In the same way, after Jesus fed the 5000 crowds enthusiastically followed him. In fact, they wanted to make him king. But Jesus said, “You are seeking me, not because you saw signs, but because you ate your fill of the loaves” (John 6:26). They followed him only for their stomach’s sake. In neither case, says Piper, did they have saving faith. “But when the Jewish Feast of Tabernacles was near, Jesus’ brothers said to him, “You ought to leave here and go to Judea, so that your disciples may see the miracles you do. No one who wants to become a public figure acts in secret. Since you are doing these things, show yourself to the world.” For even his own brothers did not believe in him” (John 7:2-5). “So his brothers see the miracles, believe that Jesus is doing them, are excited about the impact they will have, and do not ‘believe’. What are they missing? The clue lies in the fact that they tell Jesus to go to Jerusalem publicly, but Jesus says no and then goes privately . . . and starts teaching” (Piper, p. 242). What was wrong with his brothers’ faith? The answer lies in what Jesus taught the Jews in Jerusalem . .
“My teaching is not my own. It comes from him who sent me. If anyone chooses to do God’s will, he will find out whether my teaching comes from God or whether I speak on my own. He who speaks on his own does so to gain honor for himself, but he who works for the honor of the one who sent him is a man of truth; there is nothing false about him” (John 7:16-18). “The mark of authenticity in Jesus’ miracles is not their raw power but that their power was in the service of God-exalting humility, not self-exalted crowd pleasing. This was the peculiar glory of his miracles . . . This Messiah was not what the brothers of Jesus (or anyone else) expected” (Piper, p. 243). His brothers’ “unbelief” was not due to ignorance of Old Testament messianic prophecies, but to hearts not in harmony with God’s will. “If anyone chooses to do God’s will, he will find out whether my teaching comes from God or whether I speak on my own” (John 7:17). “The deepest problem is not ignorance but a will that does not will to do God’s will” (Piper, p. 243). Jesus makes this clearer: “I do not accept praise from men, but I know you. I know that you do not have the love of God in your hearts. I have come in my Father’s name, and you do not accept me; but if someone else comes in his own name, you will accept him. How can you believe if you accept praise from one another, yet make no effort to obtain the praise that comes from the only God?” (John 5:41-44). The answer to Jesus’ rhetorical question is, “You can’t”. Why? Because you love men’s praise more than God’s glory. The one moment in Jesus’ life, writes Piper, when his majesty uniquely shown forth was on the Mount of Transfiguration. “ . . . what is most significant about this exceptional revelation of glory is the impact it made on the apostle Peter and what he made of it. Peter saw in this revelation a confirmation of the written word of God in the Old Testament, especially as it relates to the second coming of Christ in glory at the end of the age” (Piper, p. 245). Mark’s Gospel is representative of Matthew and Luke who report the same statement . . .
“And [Jesus] said to [his disciples], ‘Truly I say to you there are some standing here who will not taste death until they see the kingdom of God come after it has come with power” (Mark 9:1). Jesus made this promise immediately before being transfigured. Piper says the “seeing” of God’s kingdom in power was in the transfiguration. That event looks forward to the second coming of Jesus in glory and backward to Moses and Elijah who prophesied it. Peter tells us what the apostles made of that amazing event . . .
“We did not follow cleverly invented stories when we told you about the power and coming of our Lord Jesus Christ, but we were eyewitnesses of his majesty. For he received honor and glory from God the Father when the voice came to him from the Majestic Glory, saying, ‘This is my Son, whom I love; with him I am well pleased.’ We ourselves heard this voice that came from heaven when we were with him on the sacred mountain. And we have the word of the prophets made more certain, and you will do well to pay attention to it, as to a light shining in a dark place, until the day dawns and the morning star rises in your hearts” (2 Peter 1:16-19). Piper claims Jesus confirms the Old Testament’s authority. “ . . . he confirms the Scriptures by revealing the very glory that he will have when he comes at the last day to fulfill all that had been written about him . . .
“For one brief moment, the transfiguration broke the pattern of the incarnation. It pulled back the curtain on the future when the glory of Christ would not be clothed in fragile lowliness any longer . . . And all of that serving to make the Scriptures more sure” (Piper, p. 248). 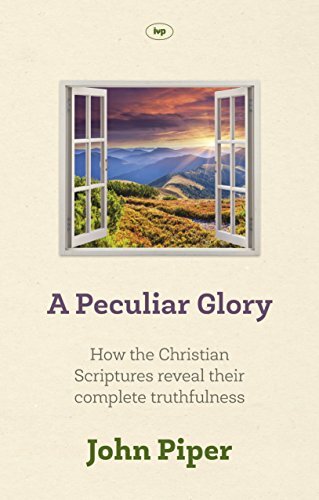 Where God does his blindness-removing work, we see Jesus for who he really is “and the peculiar glory of his miracles becomes a good foundation for well-grounded faith” (Piper, p. 249). The apostle John connects Jesus’ miracles with the Scriptures. In his Gospel, he records seven miracles (“signs”) and explains why he wrote them . . .
“These are written so that you may believe Jesus is the Christ, the Son of God, and that by believing you may have life in his name” (John 20:31). Piper explains: “In other words, John intends for his writing to put the glory-revealing signs on display for future generations—for us. Just as the miracles of Jesus displayed the peculiar glory of Christ in his earthly life, so they do the same for us as we read” (Piper, p. 249). “ . . . the light of the knowledge of the glory of God in the face of Christ” (2 Corinthians 4:6) is its own confirmation. “In the end, we do not deduce by logical inference that the eyes of our heads are seeing objects in the world. Sight is its own argument. Similarly, in the end, we do not deduce by logical inference that the eyes of our hearts are seeing the peculiar glory of God in his word. Sight is its own argument” (Piper, p. 250). In this way, the glory of Jesus’ miracles confirm that the Scriptures are God’s word. When I read the Gospels, I believe Jesus really performed miracles. But Piper claims more, and we shouldn’t miss it. He explains that John intended that we see Jesus’ glory in the miracles–and further that Jesus’ glory in the miracles, coupled with John’s intention, authenticates the Gospels as God’s word. It’s (sort of) like this. I write you a letter telling you how Lois loves me. I describe her self-giving acts, her affectionate words. I communicate so well, you feel as if you know her. And, because you care about my happiness, you cherish my letter. So, if we read John’s Gospel with his intention in mind and with reliance on the Spirit, we may catch a glimpse of Jesus’ glory in his miracles, and find our faith in the Scriptures well-grounded in the glory. In this last section of the book, Piper argues that people without rigorous historical study can have well-grounded confidence in the truthfulness of Scripture because God’s glory in Scripture authenticates it as God’s word. Not only does God’s glory shine through the Scriptures, his specific glories do. In this chapter Piper shows how God’s glory shines through Scripture’s fulfilled prophecies. Isaiah 53 offers a most astonishing prophetic picture of God’s suffering Messiah seven centuries before he came. Here is a partial list . . .
Old Testament references like this found in the New Testament are intended to magnify God’s glory and show that God rules the history that climaxed in Jesus. “God,” Piper writes, “does not just predict. He plans and accomplishes. The sheer fact of fulfilled prophecy is . . . owing to . . . God’s sovereignty over the world” (Piper, p. 233). This chapter’s main focus is not the fact of fulfilled prophecy, however, but the way God fulfills it. “This fulfillment serves God’s peculiar glory of majesty in meekness—the peculiar glory of supreme strength in voluntary suffering for others” (Piper, p. 234). The way Jesus connected himself to prophecy is one specific way he spoke of his divine glory. “For example, he cited the prophecy that he would be betrayed by one of his disciples, and then he added his own specific prophetic application to his immediate situation and drew out an important implication for his divine glory” (Piper, p. 234) . . .
“If you know these things, blessed are you if you do them. I am not speaking of all of you; I know whom I have chosen. But the Scripture will be fulfilled, ‘He who ate my bread has lifted his heel against me’ [Psalm 41:9]. I am telling you this now, before it takes place, that when it does take place you may believe that I am he” (John 13:17-19). There is no “he” in the Greek original. It says simply, “That you may believe that I am.” Jesus was identifying himself with God’s name in Exodus 3:14—“God said to Moses, ‘I AM WHO I AM’”. Therefore, in John 13 Jesus was not only claiming to fulfill Psalm 41:9, but that he was the all-sufficient God of Israel. “And here is the point: this illustration of fulfilled prophecy not only validated Jesus’ divine glory, but it also revealed the peculiar nature of that glory because the prophecy tells that Jesus would be betrayed and suffer. Thus Jesus, even as he declares himself to be God, embraces his mission to die. This is his glory” (Piper, p. 235). The Scriptures, Piper explains, point to the peculiar glory that the Messiah will show his majesty in suffering. Jesus confirms with his words to the two disciples on the road to Emmaus . . .
“O foolish ones, and slow of heart to believe all that the prophets have spoken! Was it not necessary that THE CHRIST SHOULD SUFFER THESE THINGS AND ENTER INTO HIS GLORY?” (Luke 2425,26). “In summary, then, Scripture is woven together by prophecy and fulfillment. This, in itself, is a great glory of Scripture . . . But my point here, (Piper writes) . . . is that the Promised One displays the fullness and the uniqueness of his glory by moving through meekness and to splendor through suffering. He attains the height of his glory through humble service. This is the golden thread of prophecy . . .
“So when Jesus says that such prophecy is a good ground for our faith (John 13:19), he has in mind not only the sheer transcendent glory required to predict the future and carry it through but also the peculiar glory that is woven through the whole fabric of biblical prophecy: the ‘glory of the gospel of Jesus Christ’ (2 Corinthians 4:4) manifest in the majesty of his meekness, the strength of his weakness, and the supreme power of his voluntary suffering. This is the glory that called the Scriptures into being. And when we see it shining through these inspired writings, God confirms to our heart that these are the very words of God” (Piper, p. 237). Why blog this long summary of Piper’s book (14 of 16 chapters so far)? First, because he approaches the truthfulness of the Bible uniquely–that is, through God’s own glory in it that (according to Piper) authenticates it. Admittedly, only those whose “heart-eyes” are enlightened by the Spirit can see it. Therefore, the skeptic on his own won’t be convinced. But it does give well-grounded confidence in Scripture’s truthfulness to us believers. Because we are staking our lives on it. John Piper asks this overarching question in his book: Is the Bible true? Can ordinary people like us answer “yes” with well-grounded confidence, even if we can’t engage in rigorous, historical study? Again, “yes”. How? By seeing the Bible’s own self-authenticating glory. We’ve reached chapter 13–“Majesty in Meekness: The Peculiar Glory in Jesus Christ”. “ . . . the way the gospel wins the self-grounded confidence of its hearers is by shining into the heart with the light of the gospel of the glory of Christ” —2 Corinthians 4:6 (Piper, p. 212). The gospel narrates and interprets the events of Christ’s death and resurrection (1 Corinthians 15:1-4). “And this verbal narration is the prism through which God causes spiritual glory to shine into the human heart” (Piper, p. 212). The Larger Catechism says “the scope of” all of Scripture is to “give glory to God.” This is correct for two reasons. One, Scripture teaches that God does everything for his own glory. Two, it reveals what it is about God’s ways that makes him glorious. Piper summarizes redemption history to illustrate that all God does he does to communicate his glory. Predestination—“He predestined us for adoption as sons through Jesus Christ, according to the purpose of his will, TO THE PRAISE OF HIS GLORIOUS GRACE” (Ephesians 1:5,6). Creation—“Bring my sons from afar and my daughters from the end of the earth, everyone who is called by my name, whom I CREATED FOR MY GLORY . . . “ (Isaiah 43:6,7). Incarnation—“Christ became a servant to the circumcised to show God’s truthfulness . . . and in order THAT THE GENTILES MIGHT GLORIFY GOD FOR HIS MERCY” (Romans 15:8,9). Propitiation—“ . . . whom God set forth as a propitiation by His blood, through faith, to demonstrate His righteousness, because in His forbearance God had passed over the sins that were previously committed, TO DEMONSTRATE AT THE PRESENT TIME HIS RIGHTEOUSNESS, that He might be just and the justifier of the one who has faith in Jesus” (Romans 3:25,26). Sanctification—“And this is my prayer: that your love may abound more and more in knowledge and depth of insight, so that you may be able to discern what is best and may be pure and blameless until the day of Christ, filled with the fruit of righteousness that comes through Jesus Christ—TO THE GLORY AND PRAISE OF GOD” (Philippians 1:9-11). Consummation—“They will be punished with everlasting destruction and shut out from the presence of the Lord and from the majesty of his power on the day he comes TO BE GLORIFIED IN HIS HOLY PEOPLE and to be marveled at among all those who have believed. This includes you, because you believed our testimony to you” (2 Thessalonians 1:9,10). Admittedly, God’s self-exaltation has driven many away from the Bible; they simply don’t like it. But, suppose our “heart is a template made for God’s glory and we were created to know and be satisfied by God’s glory and we hungered and thirsted for the presence of his glory and suppose God, despite our sin, had made a way to maintain his righteousness while still giving himself to us for our good? . . . If that were true, then God’s unwavering commitment to uphold and display his glory would not be a mark of selfish pride but a mark of self-giving love” (Piper, p. 216). No one could identify all the ways the Scriptures show God making his glory “shine” to different people and to different cultures. “As the Scriptures are read by countless persons and in thousands of cultures, that diamond is turned in ways that suddenly catch and release a beam of God’s self-authenticating glory that I have never noticed” (Piper, p. 217). What makes God’s glory glorious, Piper explains, “is the way his majesty and meekness combine . . . [T]he majestic heights of God are glorified especially through the way they serve or stoop in lowliness to save the weak” (p. 217). The majestic God meekly serves sinners to set them free. ”From of old no one had heard or perceived by the ear, no eye has seen a God besides you, who acts for those who wait for him” (Isaiah 64:4). While other gods demand to be served, God works for us who in faith turn to him and wait for him. Not only the prophets, but the books of history and psalms reveal the same glory. “For the eyes of the LORD run to and fro throughout the whole earth, to give strong support to those whose heart is blameless toward him (2 Chronicles 16:9). The LORD is looking for people to serve! Therefore, he actually prosecutes his people who act as if he needed their service and sacrifices . . .
“Hear, O my people, and I will speak, O Israel, and I will testify against you: I am God, your God . . . I have no need of a bull from your stall or of goats from your pens . . . If I were hungry I would not tell you, for the world is mine, and all that is in it . . . Sacrifice thank offerings to God, fulfill your vows to the Most High, and call upon me in the day of trouble; I will deliver you, and you will honor me” (Psalm 50:7-15). God’s peculiar glory is seen most brilliantly in Jesus. God came to earth in Jesus Christ to serve and give his life as a ransom (Mark 10:45), so the nations might “glorify God for his mercy” (Romans 15:9). “This,” says Piper, “is the peculiar glory of God and of his Scriptures: the glory of God is everywhere the aim, and the central means is the self-humbling of God himself in Jesus Christ” (Piper, p. 223). What makes Christ glorious is “an admirable conjunction of diverse excellencies” (17th century Puritan theologian and pastor Jonathan Edwards—Piper, p. 224). As the Lion, Christ—like a gentle, humble lamb—“woos us in our weariness.” And this gentleness and humility “become brilliant alongside the limitless and everlasting authority of the lion-like Lamb . . . This is the heart of the glory that shines into our hearts through the Scriptures by the power of the Holy Spirit and convinces us that they are the very words of God” (Piper, p. 225). The Scriptures from beginning to end “present God himself as giving all glory to God . . . What gives this portrait a distinct and compelling glory is that God magnifies his greatness by making himself the supreme treasure of our hearts at great cost to himself . . . and so serving us in the very act of exalting his glory” (Piper, p. 225). Let me come at this take-away two ways. First, as a skeptic might. He’s read the Gospels. Sees Jesus’ uniqueness. But no glory. Is Piper wrong? Is no glory there? No, the skeptic is dead in his transgressions. No way to see it unless the Spirit enlightens “the eyes of [his] heart” (Ephesians 1:18). Second, I come at this take-away pastorally; that is, as a fellow believer who needs to be cared for by Christ, the Great Shepherd of the sheep. I’m grateful that Christ’s glory shines through the gospel, and that, because of the Spirit’s heart-eye-opening work, I can see it. But life is ordinary. In fact, in this fallen world it’s often marred by suffering, either mine or those I love. Easily I get discouraged. So I need to see glory–not to authenticate the Scriptures but to feed my own soul. So the lesson for me today is read the gospel. Astoundingly, God has chosen to reveal his glory in Christ in a Book! And that by the ordinary act of reading, we can catch glimpses of it. So: today I will read. I will approach prayerfully, because, even after all these years, I’m still absolutely dependent on the Holy Spirit. And I will read trusting that God in his grace will show me the inspiring, faith-building, hope-infusing, heart-transforming glory of Christ. From John Piper’s book, we are answering these questions: “Is the Bible true? And can all other truth-claims rightly be judged against it?” Piper contends we can answer those questions without rigorously studying historical research. Why does God’s glory play a central role in confirming the truth of God’s word? That’s this chapter’s aim. “By comparing the sight of glory in nature with the sight of glory in Scripture, we will see how central the glory of God is in the process of knowing God; we will see that the supernatural is known through the natural; and we will see that we are responsible to have this knowledge . . . “ (Piper, p. 196). Though there are compelling, scholarly arguments for the Bible’s authenticity, most people have little or no access to them. Piper wants us all to come to “a well-grounded confidence in the truth of the gospel . . . “ that extends to the whole Bible (Piper, p. 196). “The wrath of God is being revealed from heaven against all the godlessness and wickedness of men who suppress the truth by their wickedness, since what may be known about God is plain to them, because God has made it plain to them. For since the creation of the world God’s invisible qualities–his eternal power and divine nature–have been clearly seen, being understood from what has been made, so that men are without excuse. For although they knew God, they neither glorified him as God nor gave thanks to him, but their thinking became futile and their foolish hearts were darkened” (Romans 1:18-21). Paul assumes people, who see God’s glory, are responsible to believe and liable to judgment if they don’t. The gospel contains self-authenticating glory that makes well-grounded faith possible. The god of this age has blinded the minds of unbelievers, so that they cannot see the light of the gospel of the glory of Christ, who is the image of God. For we do not preach ourselves, but Jesus Christ as Lord, and ourselves as your servants for Jesus’ sake. For God, who said, “Let light shine out of darkness,” made his light shine in our hearts to give us the light of the knowledge of the glory of God in the face of Christ” (2 Corinthians 4:4-6). In Romans 1:18-21 (above) Paul declares God is making himself (his glory and goodness which call us to glorify and thank him) known. Piper identifies three steps in this process . . .
“By that mental grasp, we see clearly the unseen” (Piper, p. 199). “The Hubble Space Telescope sends back infrared images of faint galaxies perhaps twelve billion light-years away (twelve billion times six trillion miles). Even within our Milky Way, there are stars so great as to defy description, like Eta Carinae, which is five million times brighter than our sun. If you stumble over this vastness, thinking it seems disproportionately large compared to the infinitesimally small man and his habitation, remember that the meaning of this magnitude is not mainly about us. It’s about God” (Piper, p. 200). Besides revealing God’s greatness, the world reveals God’s goodness. Therefore, God expects us both to glorify him and thank him. WHAT DO I KNOW FROM THE NATURAL WORLD? “When I come to Romans 1, I am confronted with the stunning truths that what can be known about God is plain to John Piper; and that God has manifested himself to John Piper; and that John Piper has clearly perceived, by the workings of his mind and by the things that are made, the power and deity of God; and that therefore, at the root of his being, John Piper knows God but has failed to glorify God and thank him in anything like the measure God deserves” (Piper, p. 201). We can’t escape this realization: God made the world to communicate his glory. He made us to experience his glory–and thus to glorify and thank him. “It is also intuitively obvious to me that if God’s self-revelation obliges me to thank him, then the revelation of God’s glory is . . . for my enjoyment . . . I know intuitively that the revelation of his glory is for my ultimate joy, and that by finding this joy in him, he will be glorified” (Piper, p. 204). We come, then, to this important question: What’s the connection between knowing through nature as we’ve just discussed and the self-authenticating nature of the Scriptures? The Westminster Catechism (1647) answers: “The Scriptures manifest themselves to be the word of God, by . . . the scope of the whole, which is to give all glory to God” (Piper, p. 205). That is, just as the whole of God’s world is to declare God’s glory, the whole of the Bible is to communicate God’s glory. Johnathan Edwards (17th century theologian-pastor) said it like this . . .
“All that is ever spoken of in the Scripture as an ultimate end of God’s works is included in that one phrase, the glory of God . . . The refulgence (radiance, brilliance) shines upon and into the creature, and is reflected back to the luminary. The beams of glory come from God, and are something of God and refunded back again to their original. So that the whole is of God, and in God, and to God, and God is the beginning, middle and end in this affair” (Piper, p. 206). According to Paul, all humans know the glory of God (” . . . what may be known about God is plain to them, because God has made it plain to them”–Romans 1:19). Piper explains: “I take him to mean that because we are all created in God’s image, with the original destiny of imaging forth God’s glory, there are traces of this design in our souls” (Piper, p. 206). In the Word, God’s glory is revealed by the meaning of the words, not the original parchment, ink and letters. The sun (as representative of the created world) is “solar writing” at which God expects us to say, “What a glorious and good God writes with such fire!” (p. 208). As God’s glory shines through his created world, so it shines through the Scriptures he inspired. “In this way, God confirms that these writing are his” (Piper, p. 209). We shouldn’t take away from Piper’s argument for the “self-authenticating” glory of God’s word that an unregenerate person can read the Bible and “see” God’s glory there. Romans 1 is clear: by what he’s created God has made his “eternal power and divine nature” known. And he holds us accountable to respond by glorifying and giving thanks to him. But any inference that we (humans) can know God’s glory in Scripture apart from the illuminating work of the Holy Spirit is just that–an inference, and one without foundation. After all, unless God in his mercy makes us alive in Christ, we are dead in transgressions (Ephesians 2:4,5). Piper agrees: ” . . . the only hope for seeing the glory of God in Scripture is that God might cut away the diamond-hard, idolatrous substitutes for the glory of God that are packed into the template of our heart” (Reading the Bible Supernaturally). Nor should we presume that every time we believers read the Bible we’re captivated by God’s glory in its meaning. A headache, marriage problems, text message distractions and a dozen other things can “dull” the glory of God in his word to us. So can a rushed reading of our devotions or listening to Sunday’s sermon while worrying about Monday’s work. I’ve no space left for detailed suggestions about how to read or listen to God’s word. Suffice it to say time, undistracted attention, careful thinking and a seeking to “see” God’s glory in what you’re reading or hearing are all important..
And one more most important instruction: pray for the Holy Spirit to open the eyes of your heart to “see” the glory of God that’s truly there. In John Pollock’s biography of Billy Graham, Graham asks . . .
“Must an intellectually honest man know everything about the Bible’s origins before he could use it? Were theological professors the only ones qualified to speak of religion, or might a simple American, or an ignorant jungle villager, or even a child, lead another to Christ?” (Piper, p. 181). Piper has argued that “God is not honored, and the soul is not saved, by so-called faith that has no good evidence or solid ground” (p. 182). How can the average Christian, without scholarly training, have that good evidence and solid ground? “We can know the Bible is the word of God by ‘the internal testimony of the Spirit’” (p. 182). Two key things brought John Calvin to faith. “I at length perceived, as if light had broken in upon me, in what a sty of error I had wallowed.” The other key was humility. “God, by a sudden conversion, subdued and brought my mind to a teachable frame” (Piper, p. 184). So his conversion introduced him to the Spirit’s work, which, of course, transcends the work of humans. The Roman Catholic Church claimed Christians were dependent on the church. Calvin called that a “most pernicious error” and explained, “Scripture exhibits fully as clear evidence of its own truth as white and black things do of their color or sweet and bitter things do of their taste” (Piper, p, 184). Scripture itself gave Calvin a saving knowledge of God. And the Spirit awakens the sinner, as if from the dead, to see God’s reality in Scripture, which confirms Scripture as God’s word. Digging deeper, Calvin writes . . .
“Therefore illumined by [the Spirit’s] power, we believe neither by our own nor by anyone else’s judgment that Scripture is from God; but above human judgment we affirm with utter certainty (just as if we were gazing upon the majesty of God himself) that it has flowed to us from the very mouth of God by the ministry of men” (Piper, p. 186). The testimony of the Spirit doesn’t provide additional information, but opens the human heart to see God’s majesty in the Scriptures. The Westminster Confession puts it this way . . .
“The . . . incomparable excellencies, and the entire perfection [of the Scriptures], are arguments whereby it does abundantly evidence itself to be the Word of God: yet notwithstanding, our full persuasion and assurance of the infallible truth and divine authority thereof, is from the inward work of the Holy Spirit bearing witness by and with the Word in our hearts” (Piper, p.188). “This is the one who came by water and blood–Jesus Christ. He did not come by water only, but by water and blood. And it is the Spirit who testifies, because the Spirit is the truth. For there are three that testify: the Spirit, the water and the blood; and the three are in agreement. We accept man’s testimony, but God’s testimony is greater because it is the testimony of God, which he has given about his Son . . . And this is the testimony: God has given us eternal life, and this life is in his Son” (1 John 5:6-11). Piper explains the apostle’s last sentence: “I take this to mean that God testifies to us of his reality and the reality of his Son and his word by giving us life from the dead so that we come alive to his majesty and see him for who he is in his word. In that instant of coming to life, we do not reason from premises to conclusions; we see light because we are awake—alive from the dead—and there is no prior human judgment that persuades us we are alive and awake and seeing. God’s testimony to his word is life from the dead that immediately sees” (p. 189). Lazarus, called from the tomb by Christ’s word, didn’t need reasoning to convince him. He knew he was alive! Piper writes, “ . . . the testimony of the Spirit is the work of the Spirit to give us new life and, with this life, eyes to see what is really there in the self-attesting divine glories of Scripture . . . “ (p. 191). This means every time we see God’s glory in Christ in the Scripture, we participate in a supernatural event! Our coming to faith and “seeing” God in the Bible is but the first time. But what of those days when Scripture is dull and dry to us? When it feels as if we’re just “putting in time” to check off today’s reading? Sometimes the text’s difficulty makes it “dry”. Sometimes (like reading Leviticus) no application leaps to mind. Maybe, though, there’s a lesson here. Maybe, instead of assuming the Holy Spirit will show us God’s glory in his Word, we should pause first to pray that he will. O Father, thank you for awakening me to your glories in the gospel. Remind me that’s what your Book contains–your glories. Keep me from presuming to be able to see them on my own. Remind me that I still don’t see as clearly as I one day will. So when I open your Word, move me to humbly pray for the Spirit to open the eyes of my heart, that I might see there your glories and be transformed. In Jesus’ name, Amen. “My concern (in the last few chapters) . . . has been to find a way to have a well-grounded confidence in the truth of the Bible based on evidence that a person can see, even if he has no historical training and little time to devote to rigorous study” (Piper, p. 167). 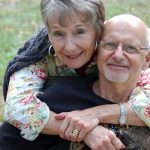 HOW CAN I HAVE CONFIDENCE IN MY WIFE? Compare this approach, writes Piper, “to the confidence I have that my wife is faithful to me” (p. 167). He says he has confidence because he has come to know the kind of person she is. He has seen holiness and the fear of God in her. It’s the same with Scripture. I can know the truth and faithfulness of God’s word, “as the divine glory of his character appears through the Scriptures he inspired” (Piper, p. 168). Pascal was a 17th century French mathematician and philosopher. He proposed a wager over how one decides whether to believe in God or not. Simply put, bet that God does not exist and the result is eternal loss. But betting he does exist results in little loss. “If you gain, you gain all; if you lose, you lose nothing” (Pascal, p. 169). Piper argues that Pascal’s wager is misleading “because it gives the impression that saving faith in God is a choice we make without seeing God as true and compellingly beautiful. The wager says, ‘You do not know if God is really there. God himself is not a reality to you’” (p. 169). That, says Piper, is not saving faith. Saving faith “is rooted in the sight and foretaste of happiness in supernatural reality—in God himself” p. 170). Repentance (given by God) must precede saving faith, not a mere “choice”. Pascal’s basic cure for unbelief is to act as if you do believe, and you will soon see the certainty of it all. Saving faith, on the other hand, is coming to God through Christ, being “irresistibly drawn by the convincing and compelling foretaste of the enthralling beauty of God in the gospel” (Piper, p. 172). Pascal’s wager is like choosing between two women to marry by a coin toss. Faith in God’s word means seeing “the glory of God in the face of Christ.” Only then are Christ and his word honored. Millions of people have come to true faith in Christ without adequate words to describe the experience and without being able to sufficiently explain why. For example . . . This man was a brutal murderer who was hanged in Tokyo in 1918. Just before he was sentenced to death, two missionary women read him the account of Jesus’ trial and execution. He was riveted by Jesus’ prayer from the cross: “Father, forgive them, for they know not what they do” (Luke 23:34). Ishii said, “I stopped: I was stabbed to the heart, as if by a five-inch nail. What did the verse reveal to me? Shall I call it the love of the heart of Christ? Shall I call it his compassion? I do not know what to call it. I only know that with an unspeakably grateful heart I believed” (p. 173). This is the faith-awakening power of God’s word, even if the believer can’t describe what has happened. At a particular point in his life, even though he had seen God work powerfully through Scripture, Billy Graham had doubts. He could not resolve the question of Scripture’s authority. He writes . . .
“So I went back (inside after walking in the night) and I got my Bible, and I went out in the moonlight . . . and put [my] Bible on [a] stump. And I knelt down, and I said, ‘Oh, God; I cannot prove certain things. I cannot answer some of the questions [people] are raising, but I accept this Book by faith as the Word of God” (p. 176). “What his experience . . . teaches us is that the sight of God’s self-authenticating glory in Scripture is often an embattled sight” (Piper, p. 176). That God doesn’t sustain the clearest views of his glory is seen in how Paul prays . . .
“that the God of our Lord Jesus Christ, the Father of glory, may give you the Spirit of wisdom and of revelation in the knowledge of him, having the eyes of your hearts enlightened, that you may know the hope to which he has called you, what are the riches of the glory of his inheritance in the saints” (Ephesians 1:17,18). Piper comments that there is a self-authenticating reality seen by the eyes of the heart when God’s strength of sight is given. Similarly, Jesus prayed . . .
“I have revealed you to those whom you gave me out of the world . . .Holy Father, protect them by the power of your name– the name you gave me– so that they may be one as we are one. While I was with them, I protected them and kept them safe by that name you gave me. None has been lost except the one doomed to destruction so that Scripture would be fulfilled . . . My prayer is not that you take them out of the world but that you protect them from the evil one . . . Sanctify them by the truth; your word is truth” (John17:6-17). Seeing God’s glory in his word is an embattled experience, but not an uncertain one. God doesn’t give “new eyes” only to let his people go blind for eternity. There is no authentic faith–no saving faith–based on a bet. The only kind of trust that truly honors God is a well-grounded trust. Jonathan Edwards (18th century Puritan preacher and theologian) wrote: “the mind ascends to the truth of the gospel [and the Scriptures] but by one step and that is its divine glory” (Piper, p. 151). God must show us his glory in his word; otherwise we’ll see “parts” of God–his love, wrath, holiness, mercy, etc.,–but we’ll not see God as beautiful and glorious. We’ll believe in him, worship and follow him, but not be enthralled by him. And life in this fallen world has a way of dulling God’s glory to our eyes. O God, when I open the pages of your Book, I want to see you in all your beauty and glory, May the bright lights of the world’s entertainment and luxuries not dim my eyes to your glory. May my suffering and what sometimes seems your silence not make you appear uncaring and ugly. When I think of you, keep me from thinking of you in “parts”–God is love, God is grace, God is faithful, etc. Open my eyes to see all these “parts” make up you. And to see that you are the most enthralling being in the universe. Then may I trust you with a trust grounded in the glory that you are. In Jesus’ name, Amen.